In 2013 RNs with bachelor’s degrees became more numerous than RNs with diplomas and associate degrees for the first time in the state. Correspondingly, the number of advanced practice nurses in the state has increased — between 2005 and 2013, the number of APNs went up over 50 percent. The future of nursing is changing in Indiana, as a younger, more educated generation prepares to take over. Read on to get details on salary, school and licensure information, and see if you want to be a part of the transition. Both nursing schools in Indiana and state lawmakers are working together to encourage students to enter the field of nursing. Thanks in part to Indiana’s large public higher education system, nurses have suitable choices at all levels. The state has multiple recognized associate, bachelor’s, master’s and doctoral programs in nursing, as well as RN to BSN, RN to MSN and accelerated BSN programs. Take a closer look at these programs and use the following search tool to sift through options based on your specific criteria. Indiana issues nursing licenses through the Indiana State Board of Nursing, which is a division of the Indiana Professional Licensing Agency. Registered nurses, advanced practice nurses, nurse midwives and nursing schools all fall under the jurisdiction of the board. RNs licensed in another state can apply for an Indiana license by endorsement (meaning they do not need to register for and re-take the NCLEX) by submitting an application for licensure by endorsement and also submitting proof of a current license in another state and doing a criminal background check. Since exact requirements depend on the state of original licensure, applicants should consult the state’s website for more information. Nursing licenses must be renewed on October 31 of every odd-numbered year. The state sends out renewal notifications via email and regular mail. Applicants can then renew online for $50. Indiana RNs do not need to complete continuing education credits to renew their license unless they have let it lapse for more than three years. It is important to keep in mind, however, that certain Indiana healthcare employers may require RNs to complete CE hours on a regular basis. The state of Indiana does not have licenses for advanced practice nurses, except for nurse midwives. Nurse midwives must first have a midwifery degree from an accredited program and also be certified by the American College of Nurse Midwives. After they have done so, they submit an application and a copy of their Indiana RN license along with $50 to the Indiana State Board of Nursing. Nurse midwives, clinical nurse specialists, and nurse practitioners who wish to do so can submit an application for prescription authority, which includes a $50 fee. Certified registered nurse anesthetists are not legally allowed to prescribe medications. 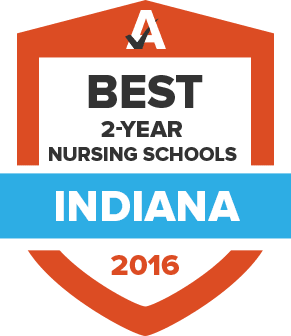 For more information on advanced practice nursing in Indiana, visit the Indiana State Board of Nursing. The Black Nurses Association of Indianapolis supports African-American nurses in the capital. It is a chapter of the National Black Nurses Association. The Emergency Nurses Association of Indiana provides mentoring, education and advocacy for ER nurses. It has nine local chapters in the state. INANA is dedicated to securing better visibility of nurse anesthetists in Indiana and promoting the importance of the profession. It is a state affiliate of the American Association of Nurse Anesthetists. Leaders in the nursing profession are supported through IONE. The organization provides scholarships to aspiring nurse executives and hosts biannual conferences. The Indiana State Board of Nursing issues licenses to RN and APNs in the state. It is the best source for up-to-date information on fees, education requirements and licensure steps. The Indiana State Department of Health’s mission is to provide residents of the state with essential public health services, resources, and education. Indiana RNs can find helpful information on health promotion and disease prevention, vaccines, evidence-based best practices, and state data collection and analysis. The Indiana State Nurses Association is the state affiliate of the American Nurses Association. A highly active advocacy organization, ISNA also runs continuing education courses.